Finally, Joanna starts thinking the unthinkable: could the truth be even more terrible than she suspected? And what will it take to make things right? 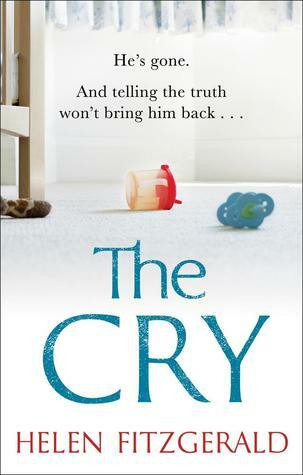 The Cry is a dark psychological thriller with a gripping moral dilemma at its heart and characters who will keep you guessing on every page. I’ve recently started watching the BBC series based on this book. I thought this was a great novel and I was really excited to see it was made into a TV series. I’ve watched the first two episodes and I am enjoying it so far. I had a hard time getting anything done while reading this book. It grabbed me right from the first scene. A baby has gone missing…. I thought this was a fantastic read, with many excellent twists and turns. Well written with a captivating plot that held my attention from start to finish. This book is definitely one that I would read again. I’m looking forward to watching the rest of the series too! Have you read this novel or are you watching the series? I’d love to hear your thoughts. For fans of Lianne Moriarty, Paula Hawkins, and Tana French, an arresting debut novel of psychological suspense: a young journalist struggles to keep the demons of her alcoholism at bay as she finds her purpose again in tackling the mystery of a shocking headline-making crime, still unsolved after fifteen years. Alex Dale is a young journalist whose focus is mostly on trying to maintain her alcoholism. She rides the line between serious drinker and functioning alcoholic. After losing her job and her husband, she’s barely hanging on. While writing an article about a doctor who is researching brain scans showing signs of communication from patients in a vegetative state, Alex visits a hospital ward where these patients live. Among these patients is Amy Stevenson. Amy has been in a coma since 1995 after being brutally attacked. Alex feels a connection to Amy. They are the same age and Alex remembers when Amy was attacked. She becomes obsessed with wanting to find out what happened to Amy and wants to tell her story. 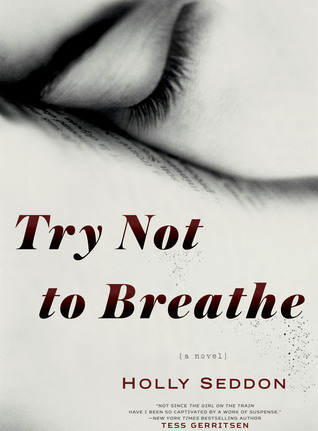 “Try Not to Breathe” was a novel I really enjoyed. An interesting and entertaining psychological suspense novel that held my interest from start to finish. Two cousins, Rory and Arden, lie unconscious in a hospital burn unit. The fire, which broke out in their shared college dorm room, killed another student, and the police want answers. Tension between Rory and Arden’s parents was already at an all-time high before the fire, owing to a recent financial crisis and the decline of the family business. As the parents huddle anxiously in the waiting room, carefully avoiding the subject of their own unraveling relationships, disturbing truths come to light. This is the deeply moving story of a family’s struggle to hold together while their secrets threaten to tear them apart. “The Good Goodbye” was a unique and addictive read that I really enjoyed. Rory and Arden Falcone are cousins who are very close. However, their personalities and interests are very different. Arden struggles to fit in while Rory makes friends easily. The book starts with Arden’s mother wondering why Arden has not returned her phone call. Just as Natalie and her husband are heading out for dinner her phone finally rings….but it’s not Arden. It’s a man who tells her that Arden has been in an accident. Rory and Arden have both been admitted to the hospital. They are unconscious after jumping out the window after a fire started in their college dorm room. The story is told from Arden, Rory, and Arden’s mother, Natalie’s point of view. It alternates between past and present. As everyone waits together in the ER, secrets old and new come to light. We learn more about what went on in the days leading up to the fire. Everyone struggles with difficult decisions that need to be made. Will the girls survive? And if they do, how will this family repair itself? I was pulled into the story right away. I could feel the tension as more disturbing truths came out, and my heart broke as the family tried to deal with blow after blow. It kept me in its grasp until the very end. 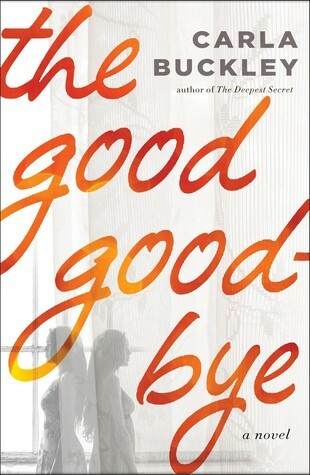 “The Good Goodbye” was an excellent domestic suspense novel that I would love to read again sometime. In the idyllic hill country of Sri Lanka, a young girl grows up with her loving family; but even in the midst of this paradise, terror lurks in the shadows. When tragedy strikes, she and her mother must seek safety by immigrating to America. 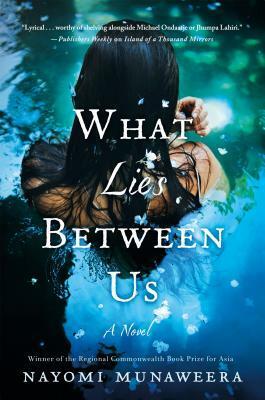 There the girl reinvents herself as an American teenager to survive, with the help of her cousin; but even as she assimilates and thrives, the secrets and scars of her past follow her into adulthood. In this new country of freedom, everything she has built begins to crumble around her, and her hold on reality becomes more and more tenuous. When the past and the present collide, she sees only one terrible choice. This book begins with a woman in jail confessing that she has done something unthinkable. She says she is a horrible mother. But she tells us we only think we know why she did what she did. She says she will tell her story, but it will be in her time, and in her words, beginning when she was a child. This book made me think about motherhood in ways I didn’t expect. “Motherhood is, if anything, the assumption of perfection”. Exceptionally well-written with such well-developed characters, the story gripped me from start to finish. How much does childhood trauma affect our adult lives? I’ve often thought of how lucky I am. Imagine living in a place where just because you are a woman you have no rights. Where you can bring shame down on your family so easily. Reading this novel I felt as though I was put through an emotional wringer. I was angry, sad, and heartbroken. It provoked thoughts in me that I wasn’t expecting. Dark and horrifying but also beautiful and hopeful. It’s been a couple of years since I’ve read this novel but it’s stayed with me. I really hope to read this book again soon.